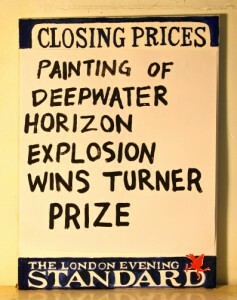 Artist Conrad Atkinson has produced a limited edition print to support the activities of Liberate Tate. The new A1 sized work For BP is now available to buy in a limited edition of 75. All the funds raised from the sale of this print will support the work of Liberate Tate. As a group concerned with issues around ethical funding choices, it is important that we raise our own funds responsibly. Liberate Tate members are dedicated to continuing our voluntary work to free art from oil, and all funds raised from the sale of these prints will go directly to support the material costs of our performances. Conrad Atkinson has 10 works held in Tate’s collection. A well known trouble-maker and political artist, he even has two works held on display atDowning Street. His work often troubles power and makes explicit corporate and government hypocrisy. 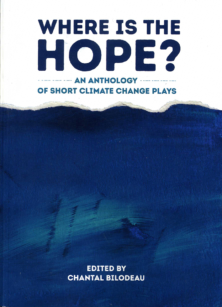 Conrad previously contributed to our publication ‘Not if but when: Culture Beyond Oil’. 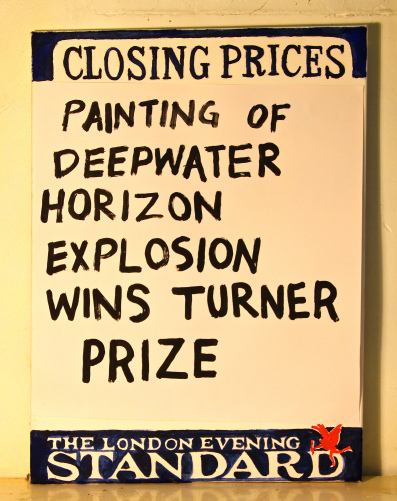 Check out his stunning new work The Oil Ship which presents a new twist on the Tate-BP deal. Please support our work, and bag yourself a beauty of an artwork at the same time! And please share this page with friends and networks to get a copy of this limited edition print. Please share this page and tweet @LiberateTate to link up with us on Twitter, and ‘Like’ ‘End oil sponsorship of the arts’ on Facebook. Sadly Chris Drury’s sculpture in Wyoming is to be destroyed, as reported by Mary Anne Hitt: Big Coal Bullying Prompts University to Destroy Artwork. Another interesting project around water. 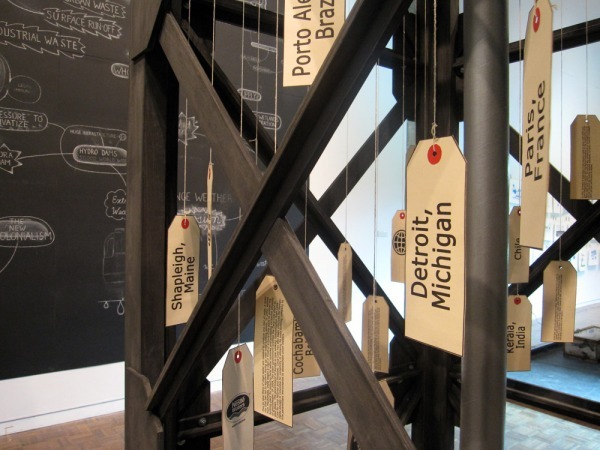 Watershed: Art, Activitsm and Community Engagement is a programme organised by Raoul Deal and Nicolas Lampert looking at Milwaukee and the Great Lakes Basin. There are three phases spanning 1) community outreach, 2) public interventions, and 3) exhibition. There is an interesting video about Colleen Ludwig’s piece in the exhibition and the work she has been doing around touching. Another of the works addresses corporate power/politics and there is an excellent pdf download of info which is embedded into the artwork in the exhibition. What happens when the climate changes around you but you are still in the same location? The fourth issue of Mammut Magazine will investigate the effects of climate change on the human psyche, focusing on a new definition of sadness called “solastalgia.” Coined by Australian philosopher Glenn Albrecht, it refers to a form of homesickness felt while still at home, particularly as it refers to the perceived change in one’s home environment caused by climate change. A parallel of sorts to nostalgia, solastalgia was created by combining the Latin words solacium, meaning comfort, and algia, meaning pain. Albrecht created the term in 2003 after interviewing scores of Australians, many of whom noted that they felt a deep sense of loss as the landscape changed around them and familiar plants and animals were gone. “They no longer feel like they know the place they’ve lived for decades,” Albrecht said in a 2007 Wired interview. >>> confronts how we are (or will be) affected individually and collectively by these changes. 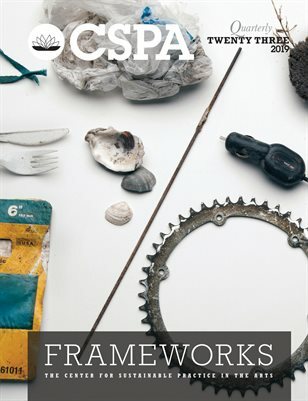 We welcome contributions from all fields, while keeping in mind the magazine’s general focus on art and the environment. Miami-based artist Xavier Cortada will present his artwork Native Flags at the Verge Miami Art Fair Dec. 3–6. The goal of the project is reforestation and awareness of global warming and its impact on political jostling for control of the Northwest Passage. 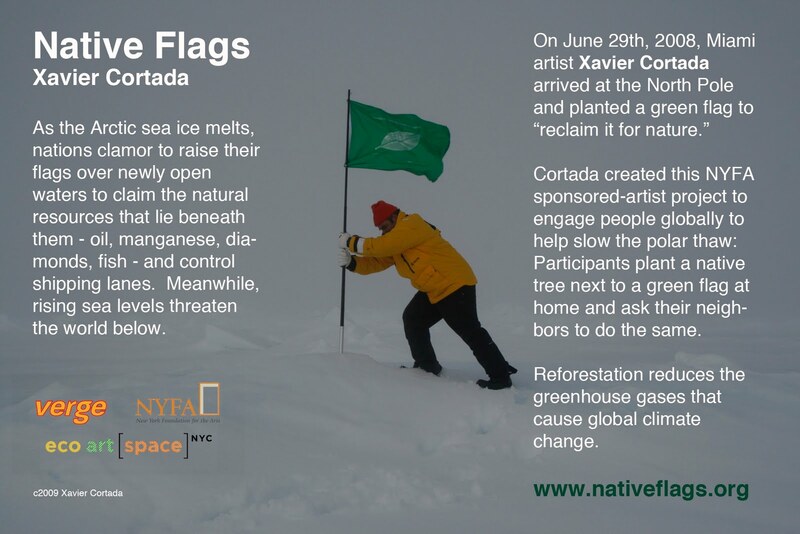 Cortada planted his green flag at the North Pole this past summer, essentially claiming the territory for reforestation rather than global shipping routes. 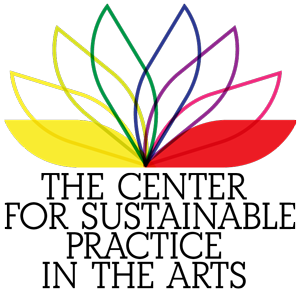 More about the project at the ecoartspace blog and xaviercortada.com. Today I am giddy with the found poetry of the names of endangered British species. A member of the Arts & Ecology ning has posted news of an imaginative new artwork by the Ultimate Holding Company collective in Manchester. extInked starts on November 19 November 12 as an exhibition of drawings of 100 endangered species from the UK. From November 26 tattooists start to ink those drawings onto the skin of 100 volunteers. Each illustrated person then becomes an “ambassador” for the threatened species their body plays host to. The exhibition has been arranged with the support of the Marine Conservation Society, Buglife – the Invertebrate Conservation Trust and the People’s Trust for Endangered Species. Most real creatures that we think we know embody wonders we have hardly dreamt of. The aim of this workshop is to develop a collective artwork via the internet that will reflect on the transformations in the landscape caused by climate change. This work will be presented in an exhibition that will be mounted in 2010. The online workshop is directed by Lluís Sabadell Artiga, an artist, curator and designer specialising in themes of Art and Ecology and in the use of virtual resources to realise collective creative projects via the Net. This workshop falls within the project Pyranees: Art and ecology in the 21st century, which aims to use contemporary artistic language to disseminate current scientific knowledge on the changes that are starting to be evident in the landscape as a result of human activity, as well as discussing the sense and function that art can bring to our knowledge of nature and society in the 21st century. Phase 1: Scientific seminar: Evolution of the landscape, climate change and art (theory and practical) with the participation of the scientists: Jaume Terradas, Albert Pèlachs, Francisco Lloret, Jesús Camarero, Iolanda Filella. Pyranees: Art and ecology in the 21st century is a project organised by the Centre d’Art i Natura de Farrera in collaboration with Caza d’Oro and Accueil et Découverte du Conflent – «Les Isards». The Globe was digitally manufactured (SLS) in a single piece measuring 300mm diameter with clouds scaled to 1-12 km above the Earth’s surface. Landforms are absent from the model, but cloud formations will give glues to the continents located below. This is A.T.R.E.E.M (Automated Tree-Rental for Emission Encaging Machine) by Nitipak Samsen, a student at the Design Interactions course at the RCA in London. Samsen’s artwork is a satire on the notion of carbon credits: by measuring the girth of the tree, this meter purports to measure carbon the tree is capturing over its lifetime. “Carbon credit brings the ‘convenience’ back to the ‘inconvenient truth’,” announces Samsen, enthusiastically on his website. See also Francesca Galeazzi’s artwork about justifying carbon offsetting.